YWCA is a national organization devoted to eliminating racism and empowering women. It has deep roots in various communities through its programs promoting health and safety, economic advancement, housing, race, and social justice. YWCA Seattle King Snohomish provides opportunities across these areas to improve the lives of girls and women in the King and Snohomish counties. They offer 15 housing programs and own nearly 900 housing units. One of the prominent housing programs offered by YWCA in Seattle is the Angeline’s Day Center, which services over 200 women each day, providing access to meals, laundry, showers, lockers, and various community resources. 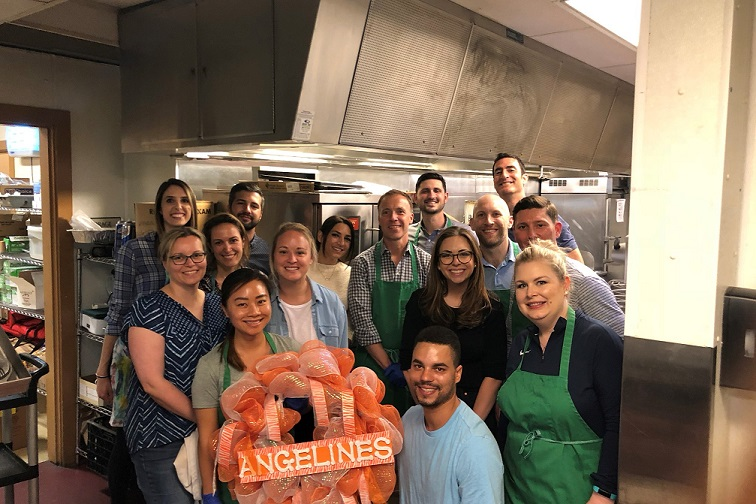 Last month, a group of Columbia Pacific Wealth Management volunteers spent the morning at Angeline’s Day Center. They began with meal preparation for lunch that day, as all the food at Angeline’s is donated locally and prepared on site. The volunteers then served the women who came for a meal and were able to mingle while they ate. They also helped sort clothing donations received by the community. Columbia Pacific Wealth Management employees left the event with a greater sense of community as well as grateful for the ability to come together. To learn more about YWCA and what they are doing in the community and nationwide, please visit their website.